The Cabinet of Ministers have approved President Maithripala Sirisena’s proposal to grant a one-year service extension to the Commandant of the Special Task Force (STF) Senior DIG M.R. Latiff, who was set to retire today (5). Senior DIG Latiff was expected to retire today after completing 40 years of service in Sri Lanka’s police force. However, the President in his capacity as the Minister of Law & Order had submitted a Cabinet paper to grant a one-year service extension to the distinguished officer. 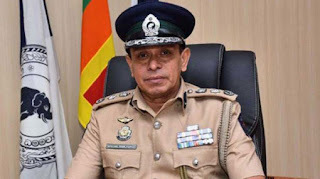 Latiff, who joined the Police Department in 1979 as a Sub Inspector, had joined the STF in 1984, as one of the initial members of the elite police commando unit. He assumed duties as the 11th Commandant of the STF on August 19, 2016. Senior DIG M.R. Latiff has also headed various other police units and divisions during his service. 248 schools in the North to be closed down! Plans for another agreement with US forces! General election prior to PC elections ! SL spends 7 million for case against Weeratunge! Glitch in bringing Makandure Madush to SL ! Madush: Caught red handed in Dubai ?